As we head into the New Year it's a great time to carry out work on your driveway or garden, the results of which can be enjoyed for years to come. Wigan Block Paving are a Wigan based family business with over 35 years experience, specialising in driveway construction and hard landscaping. We offer a professional, reliable service and will carry out our work with the least disruption possible. Services covered include hard landscaping (driveways, patios, paths), fencing, landscaping, garden maintenance, artificial turf and repairs. Please give us a call or contact us by e-mail, a site visit can be organised promptly, and we can provide you with a brochure and material samples. We will provide you with a free, detailed, no obligation quote. All work comes with a 10 year materials and 5 year workmanship guarantee. We are a local, family business, with the great majority of our work coming from recommendations. 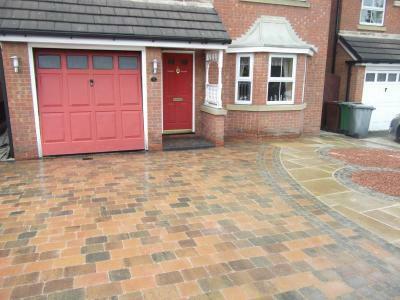 Please take a look at our Wigan Block Paving website for more examples of our work.